Advanced technology and superior quality have made Sedu a must have for salon professionals and preferred by top Stylist’s worldwide. Advanced technology and superior quality have made Sedu a must have for salon professionals and preferred by top Stylist’s worldwide. 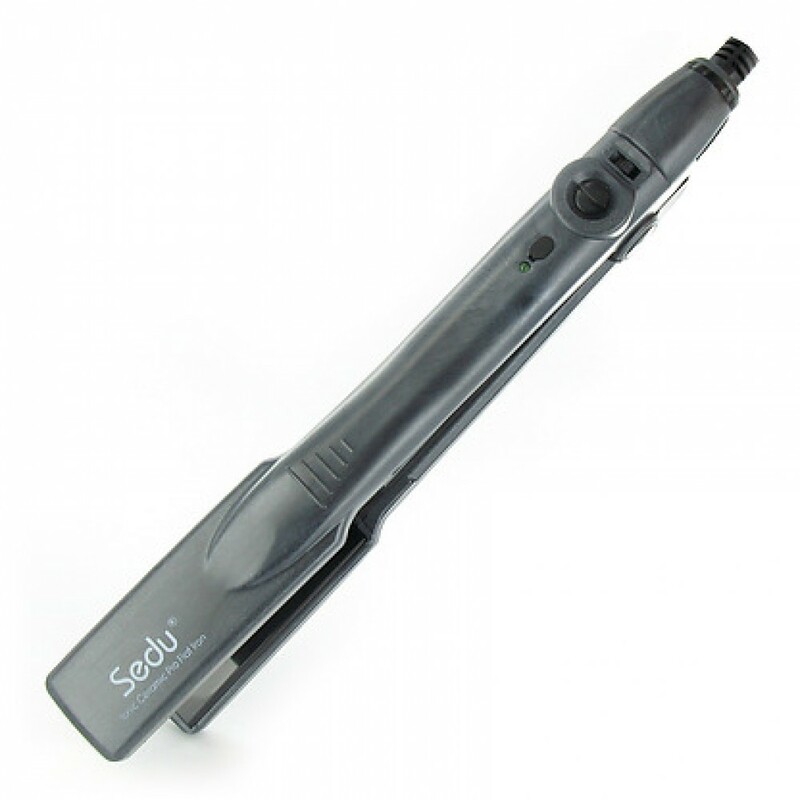 Sedu flat irons were created by hair artists and professional hair designers to straighten and smooth the hair like no other flat iron had before. Sedu’s patented ultra-smooth ceramic/tourmaline plates give incredible “slip” through the hair without pulling or snagging. -Available in either 1" or 1.5"
-Ultra-smooth plates guarantee smooth straightening motion without pulling or breakage of hair. -Hair becomes up to 3 times smoother and silkier than when using ordinary ceramic straighteners. -True ceramic/Tourmaline plates generate 6 times more negative ion than regular ceramic straighteners. -Cut your hair straightening time in half thanks to higher concentration of negative ions. -Negative ions renew hair with softness and shine. Eliminate frizz. Faster heat-up time than conventional coil flat irons. The Sedu will rise to the desired temperature in less than 25 seconds from being turned on. It cuts styling time by up to 50%. Hotter and more consistent heat at all adjustable temperature settings. Adjustable temperature: 240 ºF~410ºF (120°C - 200°C) for all hair types. For bleached, fragile, damaged and fine hair, the lower setting is advised. For normal hair and regular use, a middle range is recommended. For coarse, thick, ethnic and resistant hair in healthy condition, maximum heat on high setting is used to save time and effort. -Ergonomic design gives greater control and is easier to handle. -Variable heat control on handle for added versatility. -Safety IDCI plug to prevent electrical shocks. -9 feet Swivel Cord prevents tangling. Iron Works Well But Breaks Or Is Defective Review by Vicky C.